Casa do Sol offers a nice accommodation with garden and private pool. Let’s jump in the swimmingpool ! 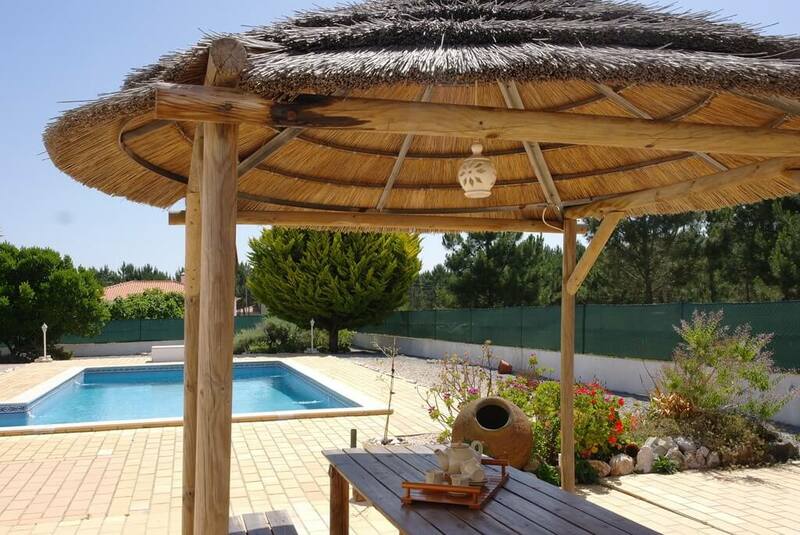 Casa do Sol offers accommodation with private pool situated in a residential area on the westcoast of the Algarve near to the beaches of Arrifana en Monte Clérigo (Aljezur), both excellent beaches for surfing. The villa is within a few minutes walking distance of restaurants and the local mini-market supplying fresh bread. Aljezur is a 10 minute drive and has a range of shops, restaurants, supermarkets and museums. The ruins of the castle that are well worth a visit. Due to the sea climate, air-conditioning is not needed or available. Around the house you have plenty of private space. Outdoor table, chairs and loungers are provided. There is also a barbecue and washing area, good for your alfresco lunch and diners. There is also an outside shower and toilet.